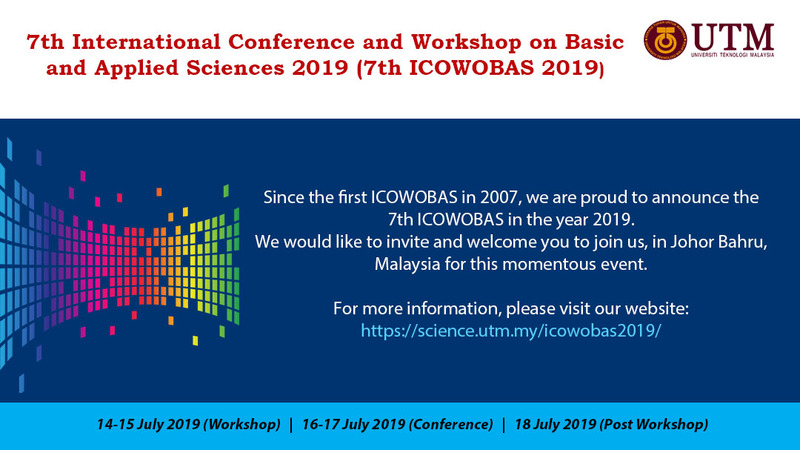 Since the first ICOWOBAS in 2007, we are proud to announce the 7th ICOWOBAS in the year 2019. We would like to invite and welcome you to join us, in Johor Bahru, Malaysia for this momentous event. Join us on the 7th of August 2018, at Level 4, Sutera Mall, Johor Bahru. Lots of exciting activities await!!! The AFOBMCIS 2018 is aimed to provide a platform for local and international scientists, academia and industries to present current research findings, sharing ideas and opinions in various biotechnological fields.